With the introduction of Google Play Services v3.0 this morning, we have a new app to help you control all of your account settings. Within the popup window that appears after launch of Google Settings, you can choose the settings for Google+, Maps, Search settings, and even trigger Google AdMob Ads on and off. 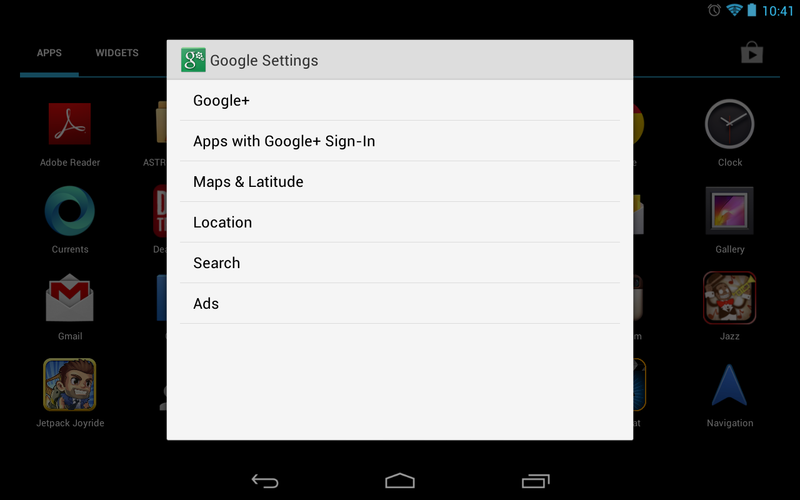 This app is filed under “Google Play services” in your settings menu, so if it hasn’t appeared in your app drawer yet, a quick clearing of the data through your app settings menu should trigger it to refresh and appear.